Now, looking back a few months, I’ve noticed that my skills have improved nicely. Besides honing my skills, I think I’ve started to find my own style too. I try to improve and learn all the time and find new ways to do things, but I also try to keep a certain level of consistency in my maps. I can do different styles when needed, but my goal is to create a certain signature style that people can recognize when they see one of my maps. 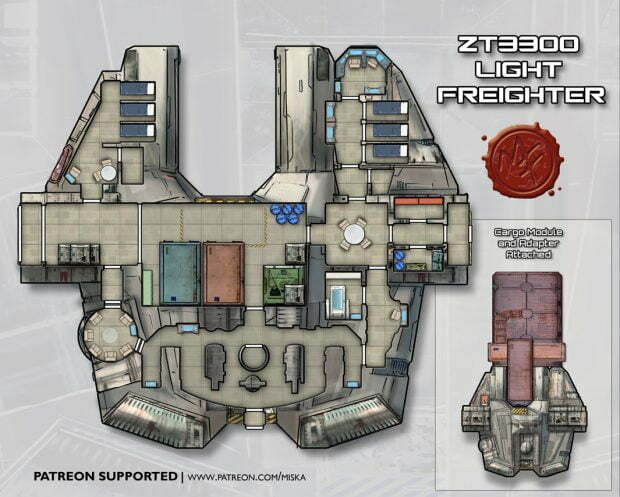 This map is another “basic map” with no special secrets or exotic buildings. 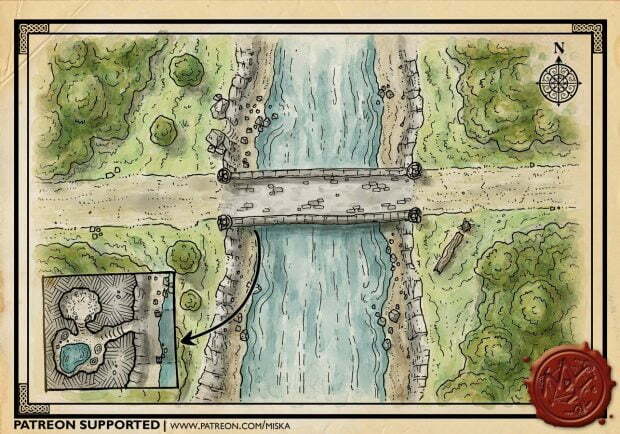 This is just a part of a road that goes by a river (or more likely a stream in this map). 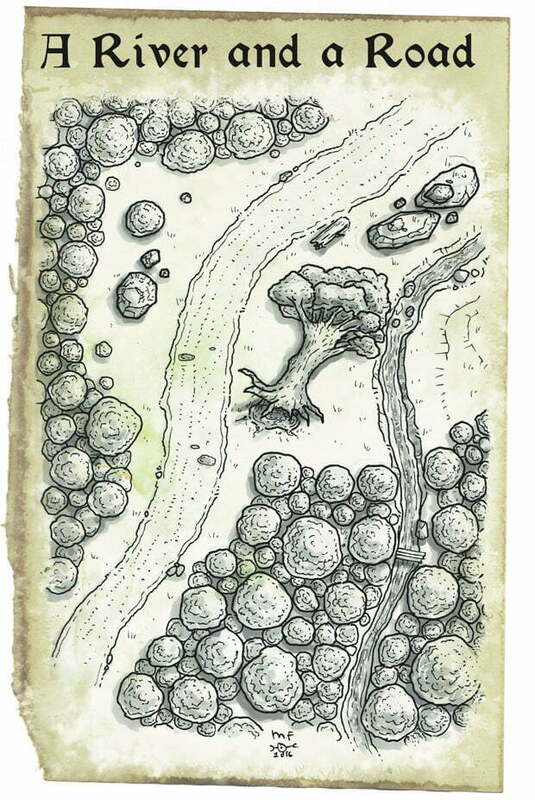 But still I tried to include some interesting terrain features like the fallen tree, some rock and a small opening. 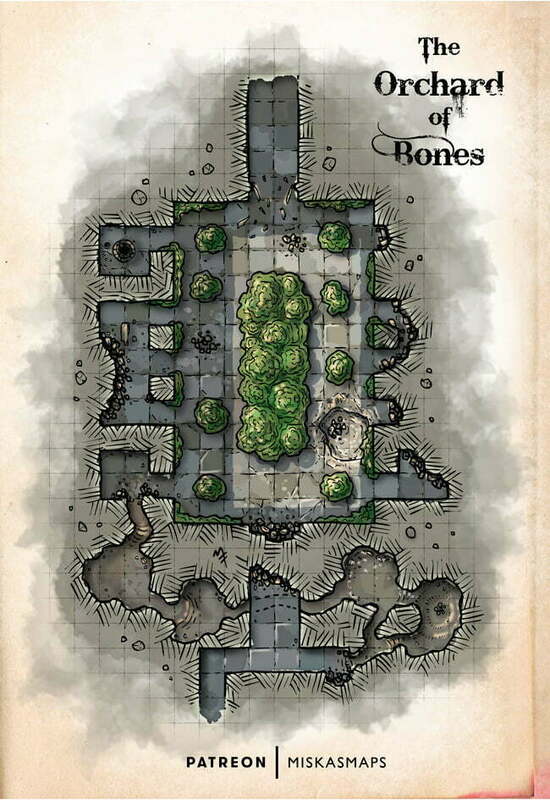 All kinds of events or encounters could take place on this map, I think. This map was originally published on Patreon with the support of my awesome patrons in May 2016.